Yes, we made it to New Zealand after jogging in London airport (thanks to our training throughout the year and our light weight hand baggage (a big change to business travels) we were not exhausted when we just made it to our next flight). 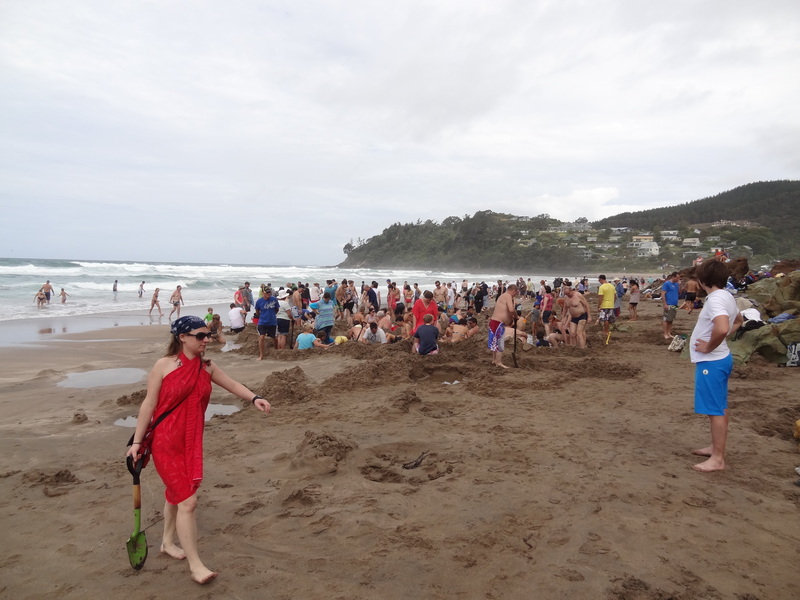 After arrival in Auckland we made our first experience with driving on the left hand side and I am happy that we do not need to change gear manually… We explored some nice beaches, native bush and visited mining sites on Coromandel during our first week here in New Zealand. We went to the famous hot water beach (there is a hot spring just under the beach and you can dig a hole in the beach and you have your own hot pool) – the only thing is that it only works at low tide and you have to choose your spot carefully – we ended up fighting for our pool against the waves and felt like Sysiphos starting over and over again. 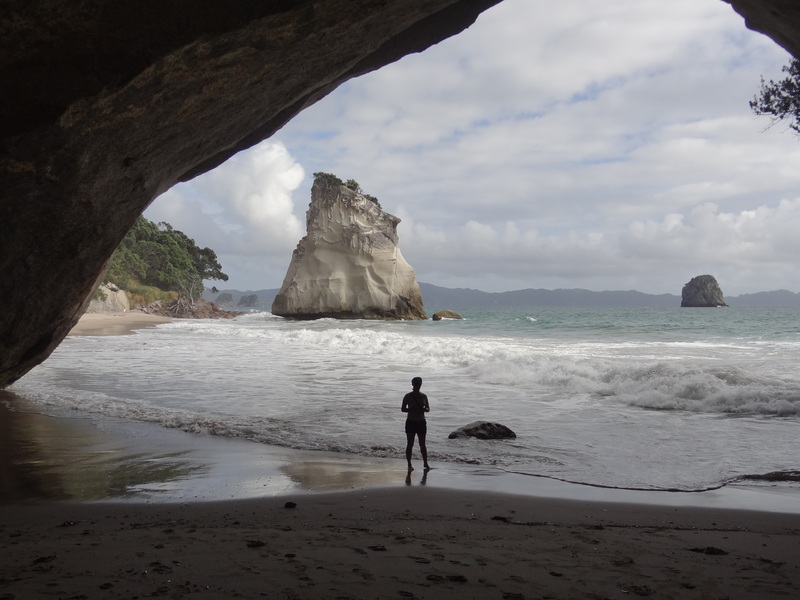 We did some hiking to visit some beaches such as the famous Cathedral Cove or New Chums Beach (apparently rated as one of the top 10 beaches worldwide). 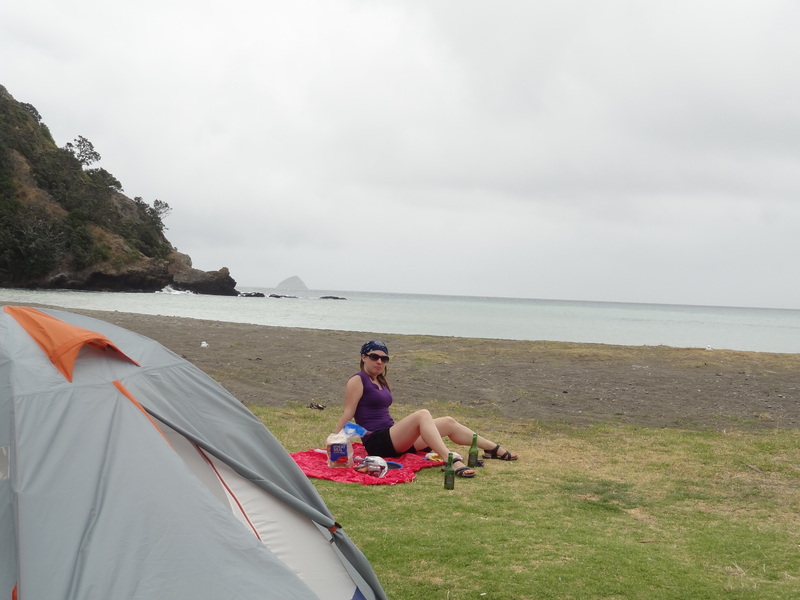 Our tent also had to prove itself already – we survived heavy winds and rain (the first real rain in 2 months apparently). Today we are stranded at Waihi – a small town that has a huge hole just next to the town center – a still active gold and silver mine. We decided to stay here to wait for better weather which should come soon. Then we are going to head down south. Head down south ? Is it really reasonable ?